A gym freak, are you? Or a person who is a big fan of working out? Love yoga and all such stuff? Well, it’s the best thing for your health and body. 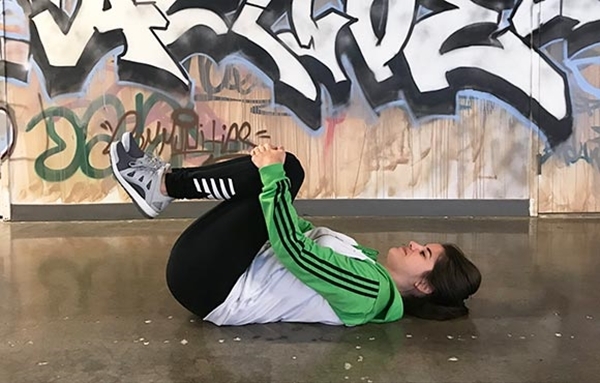 But are you a fan of post-workout stretches? Hmm, didn’t think so. Lots of people hate those post-workout stretches and many of them skip it too. But believe me when I say it will do you a lot good if you are doing them after every workout session. 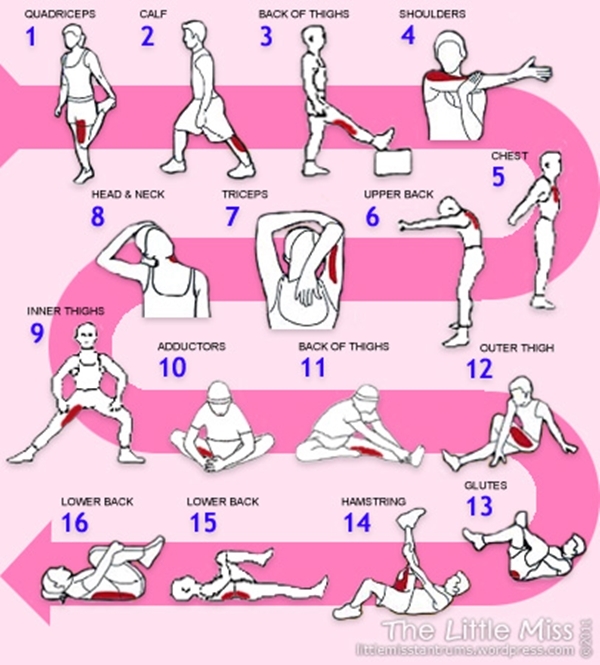 Have a look at these Charts of Post Workout Stretches to Prevent Injuries. Not many people prefer to linger around doing some post-workout stretches. Once the session is over they get up fast and run into the shower as soon as possible. But in order to prevent any injuries, it’s quite important that you do those post-workout stretches. Get inspired by these martial arts quotes. It will definitely help! You must know all about warm-ups. If don’t then let me help you there. Warm-ups do exactly as its name suggests. That is, it increases the body’s temperature before you start your workout session. It is done so because your body needs to loosen up before you go working it hard and lifting heavyweights and what not. Besides that, the warm-ups prevent the injuries as well. 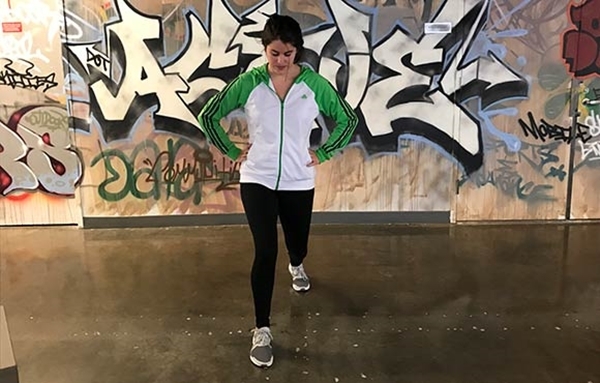 So in order to bring your body into a working gear, warm-ups are necessary. This was all about warms ups. Now if you are wondering what are cooldowns then you are guessing it right. 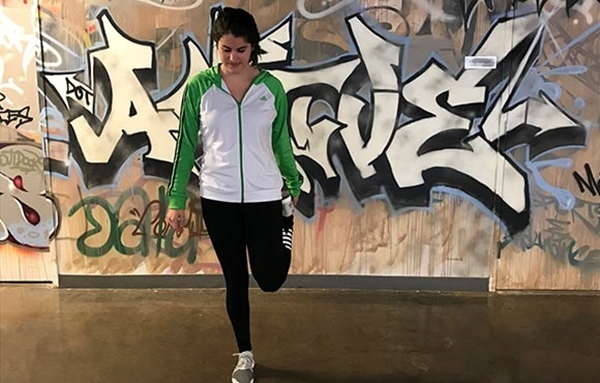 Cooldowns are the post-workout stretches that we are talking about. 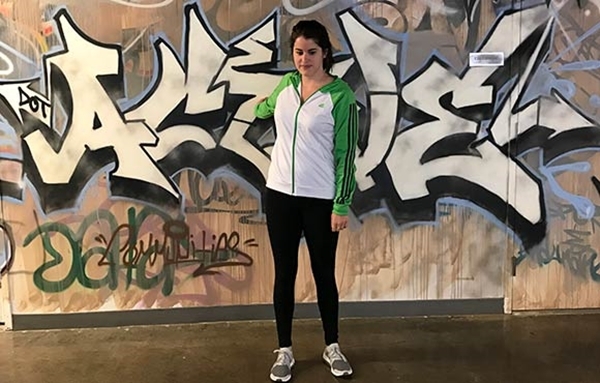 Just like the warm-ups are designed to gear up the body and bring up the body temperature, the cooldowns are also designed to bring down that temperature and prevent injuries as well. Your workout session is incomplete with either of them. Although it won’t affect much if you skip them both, it is still highly advisable. Mark your perfect body with a perfect tattoo. Get cool ideas from here. I know, it’s easier said than done. But that’s why they advise stretching for the post work out session. Your body is much more flexible when the blood temperature is high. So, it will be easier to do those stretches and hence will cool down your body as well. 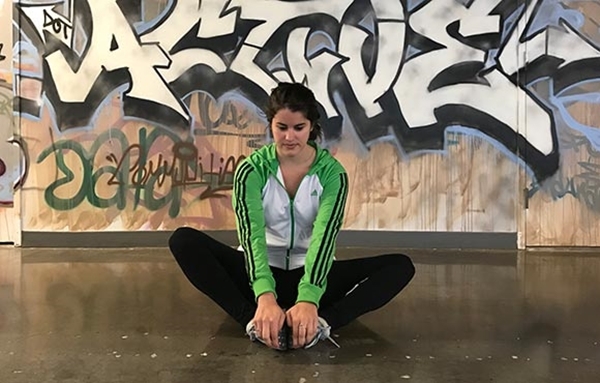 Even though stretching is your best bet, your cooldowns can be anything from meditation to a simple walk. Now I didn’t say that after post workout stretches you will feel much less sore. Nah-uh. Your words, not mine. The cooldowns will not reduce the soreness but will give you time to relax and come back to the world of smooth pace. 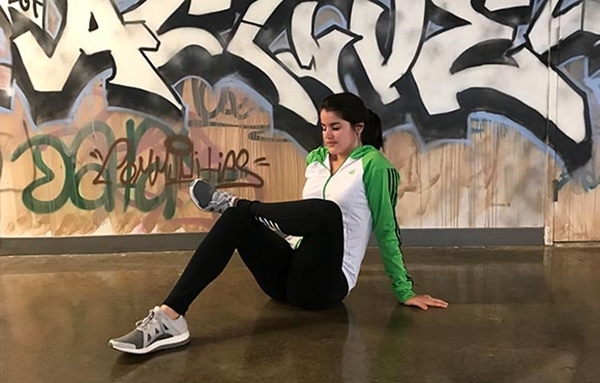 After a heavy work out, the cooldowns will relax your body and will allow more flexibility as well as gives a better range of motion. Make your body fit and your mind sharper with these tricks. Now, of course, the post work out stretches has their advantages. It has been observed that the cooldowns help immensely to prevent any injuries. 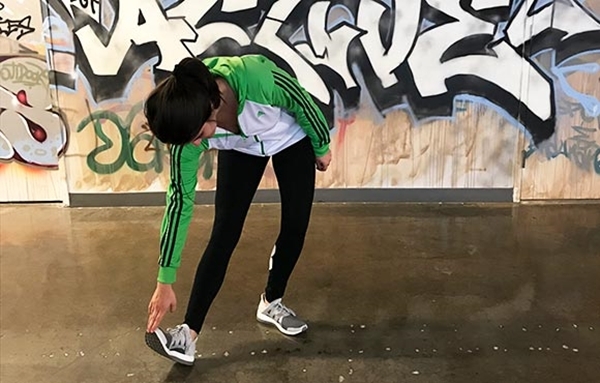 Famous fitness model, Obi Obadike says that the post work out stretches decrease the risk of tendon overload and injury. The cooldowns make your body more lithe which of course prevents the injuries that might occur. Because it’s simple, the more graceful your body is the fewer chances of your injuries. 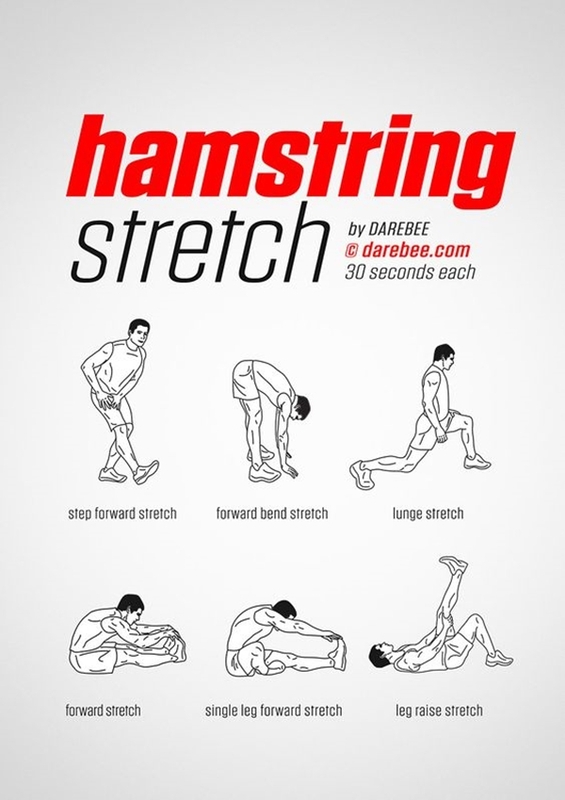 The post-workout stretches also reduce the cramping that we often suffer after a grueling workout session. Eating healthy is another way of keeping your body in shape and fruits are definitely on the list. 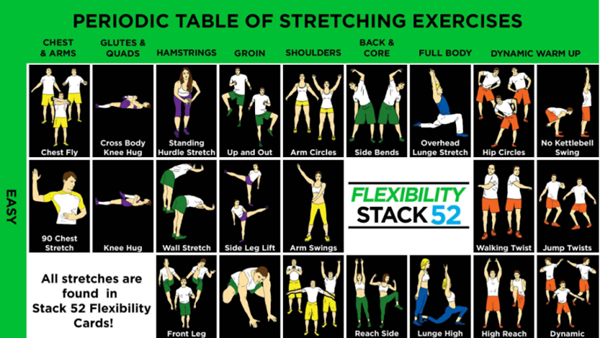 You get to know what are cooldowns or post-workout stretches. Fine. You learned about what good will the post-workout stretches do. Very good. But now when it’s time for you to do it in real, you go and say-“I’ve got no time for the stretches.” Not so cool anymore. You want a workout which will keep you fit and healthy. And add no injuries the result and voila! A perfect workout. But in order to have that you must do stretches. And it will take not more than 5 to 10 minutes. Yes, you read it. Just a few minutes and your post workout stretches are done. I knew that would have convinced you! Wink! Now that you have made up your mind to do post workout stretches, here are the few stretches that you must do. Your physical fitness is very important in this age of stress and pollution. So take advantage of few such things that will aid you in health. Have a blast while your workout.